yes, a good heart from www.filhacks.com are generating unlock codes for free. when i asked about unlocking my huawei e-1552 at a local cellphone repair shop, they bid me for 400 pesos. why would i pay for that steep price when you can really get answers from the internet. how to unlock? simply replace the sim card on your usb modem such as globe tattoo, smart, sun dongles and it will auctomatically detect a change on it and ask for you the unlock codes. you have a limit of 10 tries and its screwed. unlocking the codes needs the IMEI number and model. i couldnt find a tool to generate it but, a lot of people offers to unlock the codes for you. others make money in exchange for the code. once you have the code just type it in, then make a new profile with empty settings with just the default data only. then connect with the operator of your choice and voila you got yourself a mobile internet access. LongCheer WM66 is the modem sold with the SMART Bro pre-paid kit. It is locked to SMART. You can get the SUN or Globe modem if there is no HUAWEI usb modem and get it unlocked on SULIT and then use it with SMART as well as it has a plug in for an antenna which would definitely increase your signal if placed near a window or buy the antenna panel from the link below which will plug into the plug it from SUN. SUN & Globe uses the HUAWEI E160 and it has a connection on side for an external antenna which is nice. You can get unlocked at http://www.sulit.com.ph/ just type SUN unlock and you will get the instructions how to load the sign it details for SUN, SMART or Globe after it is unlocked. I have tested the service and it works. For an additional P2,000/month on top of your postpaid plan, you get unlimited mobile Internet connection. This kinda reminds me of the Visibility Unlimited plan offered before, but this time it's tied to a postpaid plan. The prepaid offering is really more their Surf All Day packages of P20 for one day unlimited surfing per site (either Facebook, Friendster, etc.) Not sure if this applies to all sites. Enjoy the FIRST & ONLY unlimited mobile browsing service and be online all the time on your phone, laptop, or desktop and get unlimited access to surf, email, chat and blog. 1. why does globe always have to be more expensive than say Sun. their service is not good either. 2. 2,000 is too expensive indeed. I wish they would be more customer friendly. Avail of Globe Super Duo on postpaid for only P499/month P599 PREPAID for unlimited calling within same province and extra mobile line. Add P499 to your Postpaid Plan, and you will receive a DUO landline number* so you can make unlimited calls to any landline or any Globe/TM subscriber nationwide for FREE! *Area code guideline: Available in Cebu to Cebu calls, area code 032. Duo to Danao/Sotelco Calls Currently not available. What is the offer and its details? Will I need another SIM for my SUPER DUO Landline? Will I need another handset? Is the service/ Free calls available only for certain times of the day? How do I activate my SUPER DUO Landline number, when I avail of SUPER DUO? How long is the activation time? Can I upgrade my DUO subscription to SUPER DUO subscription? What is the area of coverage for SUPER DUO? What do you mean by same area code? Is it a Nationwide service? Can I use my SUPER DUO number to send and receive SMS? What makes SUPER DUO better/ different from Smartalk? What makes SUPER DUO better/ different from DUO? What makes SUPER DUO better/ different from other Wireless Landline offers like PLDT Landline Plus or Bayan? What makes SUPER DUO better/ different from other Unlimited Voice offers like Sun's 24/7 Unlimited? What makes SUPER DUO better/ different from Sun's Double Unlimited? Who are qualified for this offer? Can I avail of SUPER DUO without a Globe Postpaid Plan? I am currently a Globe Postpaid subscriber. Can I avail of SUPER DUO? I am currently subscribed to GLOBE DUO. Can I avail of SUPER DUO? Will I be charged a preterm fee? I am currently a Globe Postpaid subscriber. Must I give up my old mobile number/ my current SIM to avail of SUPER DUO? I have one/ several extension lines attached to my Postpaid Plan. Can I have one/ several/ all my extensions subscribed to SUPER DUO? I am currently a Smart/ Sun subscriber. How can I avail of this offer? I am currently a PLDT/ Digitel/ Bayan subscriber. How can I avail of this offer? Where can I avail of SUPER DUO? When can I avail of this offer? Is this a regular plan or a promotion? Do you offer special/ "golden" numbers for SUPER DUO? How much is the extra charge for those special numbers? Can I avail of more than one (1) SUPER DUO subscription with my Postpaid Plan? Can I have two (2) SUPER DUO Landline numbers if I am willing to pay for another? I'm a new Globe postpaid subscriber, will I be asked to sign a contract for SUPER DUO? Once subscribed to SUPER DUO, do I need to enter a special prefix before calling the Landline or SUPER DUO Landline number I want to reach? What are the call rates for SUPER DUO? How much will I be charged for calls to another Landline number (PLDT, Digitel, Bayan)? How much will I be charged for calls to another mobile number (Globe, Smart, Sun)? How much will I be charged if I make a NDD or IDD call to a Landline? How much will my friends/ family/ business contacts be charged if they use their Landline number (PLDT, Digitel, Bayan, Globelines) in calling my SUPER DUO Landline number? How much will my friends/ family/ business contacts be charged if they use their mobile number (GLOBE, SMART, SUN) to call my SUPER DUO Landline number? What if I call my friends/ family/ business contacts who have a SUPER DUO Landline number, how much will I be charged for the calls I make? Can I use my SUPER DUO Landline number while roaming? Does my SUPER DUO Landline number have Caller ID? Does my SUPER DUO Landline have Call Forwarding? Does my SUPER DUO Landline support call conferencing/ 3-way conferencing? When I get my bill, will I get to see the details of the SUPER DUO calls I made? See all the numbers I called? Can I make a special request through the hotline if I really need it? What happens if I opt-out then opt-in again during the 3-month holding period? Will I still be charged a preterm fee? After my initial 3-month lock-up period for SUPER DUO, how do I continue my subscription? Do I have to keep on renewing every month? How will I unsubscribe to SUPER DUO if I no longer want to avail of the service after my 3-month lock-up period? What is the validity of my SUPER DUO Landline number? Will my SUPER DUO Landline be retained? If I decide to subscribe again to SUPER DUO after the extra 30-day from my last subscription, can I still retain my old SUPER DUO Landline number? What if I forget when my SUPER DUO subscription will end? How will I know how and when to renew? If I am unable to immediately renew my subscription, will my SUPER DUO Landline be automatically disconnected? Will I be charged in the event that my line gets temporary disconnected? Super Surf addresses the need for affordable and reasonable rates for data services. This is a new add-on data plan that offers unlimited chatting, downloading, emailing and surfing wherever you go. For the promo period, this will be available for post-paid subscribers only. But this is to be extended to Prepaid subscribers as well soon after. Final date is still tentative. What are the plans this feature is available to? Who can avail of the Super Surf Add-on? I am currently subscribed to (a data-related plan/add-on). Can I avail of the Super Surf add-on Plan? What are the benefits/savings I can enjoy if I subscribe to the Super Surf Add-on service? What’s the difference between a Super Surf for BlackBerry Plan and a Super Surf Add-on Plan? When is this available? Is there a ‘validity’ duration for this service? Is the service available only for certain times of the day? If I am an existing Globe subscriber, will I be asked to sign anything for a Super Surf subscription? After subscribing / accepting, how will I be sure that I am enrolled in Super Surf? How and where can I subscribe to avail this Add-on service? How long is the subscription valid? Is there a lock-up period? How do I terminate my Super Surf subscription? How much do I have to pay to avail of this Add-on service? I went to a Globe Business Center and applied for the Super Surf Add-on. When can I start using it? After my initial 3-month lock-up period for Super Surf, how do I continue my subscription? Do I have to keep on renewing every month? I have a Globe Tattoo Broadband. I subscribed to the Super Surf add-on plan. 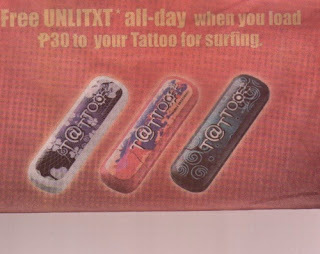 Can I use my SIM with the Super Surf add-on with my Tattoo Broadband? Can I still avail of the Mobile Surfing Plans given that there is already a Super Surf add-on offer? Can I avail both the Super Surf for BlackBerry and the Super Surf Add-on simultaneously? I’m using a Blackberry / Blackberry-connect handset. Can I avail of the Super Surf Add-on, instead of the Super Surf for BlackBerry Add-on Plan? I’m using a non Blackberry / Blackberry-connect handset. Can I avail of the Super Surf for BlackBerry Add-on Plan, instead of the Super Surf Add-on? Can I terminate my current Globe Postpaid line and subscribe only to Super Surf? I am currently subscribed to time-based browsing. Will I still be charged the P5 for 15 minute rate when I avail of the Super Surf add-on? How much will I be charged for using mobile internet after being subscribed to Super Surf? I am currently a Postpaid subscriber under lock-up. Can I downgrade my current plan and subscribe to Super Surf instead? What happens if you’re on one of the currently available mobile surfing plans and you want to upgrade by subscribing to the Super Surf Add-on? Is there a lock up period requirement to avail this offer? I have one/ several extension lines attached to my Postpaid Plan. Can I have one/ several/ all my extensions subscribed to Super Surf? After availing the Super Surf Add-on, what will reflect on my bill? When I get my bill, will I get to see the details of the browsing sessions I made? What will be the bill cut-off for my existing plan with the Super Surf Add-on? Will my Super Surf Add-on plan be based on calendar date of subscription or based on my billing cycle? I would like to change my mobile number. What will happen to my Super Surf Add-on? I would like to request for a new SIM card (i.e. damage / loss), while retaining my original mobile number. What will happen to my Super Surf Add-on? I would like to change my postpaid plan. What will happen to my Super Surf Add-on? I’m going abroad and would like to have International Roaming activated for my Globe postpaid plan. What will happen to my Super Surf Add-on? I am currently a Globe Prepaid subscriber, can I avail of this offer? When can I cancel, downgrade, or stop subscribing to my Super Surf Add-on? I am currently a Globe Postpaid subscriber and I will be outside lock-up in 1 month. I intend not to renew, but I still have 2 months remaining in my Super Surf subscription. What will happen to my Super Surf subscription? Will I be required to pay the pre-termination fee of PHP 1,000.00? I would like to request for a temporary disconnection of my postpaid plan (lost phone/SIM, defective phone/SIM, out-of-the-country, etc). What will happen to my Super Surf Add-on? I would like to transfer ownership of my Super Surf Add-on. Am I allowed to do this? I would like to transfer ownership of my main plan. What will happen to my Super Surf Add-on? Can I have my credit limit increased to apply for a Super Surf Add-on Plan? Also note that Globe has announced in full page ads this week October 11 but it is not posted on their website which it seems they put their expensive ads but not update their website which is poor marketing. If you’re already happy with everything you get from Globe Tattoo Broadband, you’ll be in ecstasy once you load P30 via Globe Autoload Max and start surfing away, because not only will you get 1.5 hours of browsing at up to 2mbps, you can text to sawa for an entire day with free Globe UnliTXT All-Day on your PC, from October 12 to November 15, 2009. Broadband, you’ll never be out of touch, with the country’s only Unlitxt offer for the hippest broadband users. Globe Tattoo Broadband prepaid kits are available for just P895 at Globe stores and authorized dealers nationwide.